Household floors usually have two or three layers. The top layer, sometimes called the finish floor or floor covering, is what you see and what you walk on. It might be wood, or tile, or laminate, or vinyl, or carpeting. Sometimes there is a middle layer, known as underlayment. It provides a smooth, consistent surface for the floor covering to lie on. For instance, thin padding is often used between carpeting and the subfloor. Plywood might be used between a hardwood floor covering and the subfloor. The bottom layer is the subfloor. It's often made from plywood, though it may be made from other types of wood as well. 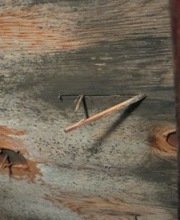 It rests on joists, which are usually wooden beams in homes, though in some buildings they are steel. How Do You Know If You Have Subfloor Mold? Unfortunately, you may not know for quite some time. After all, you can't see under your floor. You might suspect it if your home has been flooded, if your carpet is moldy, if you smell the musty odor characteristic of mold in your home, or if you're experiencing symptoms of mold-related health problems. Often though, the only way to know for sure is to take up the top and middle layers of your floor so you can see the subfloor. You probably know that household mold causes health problems. When mold grows under your floor, you can't see it but microscopic mold spores can still drift through the air where they are easily inhaled. 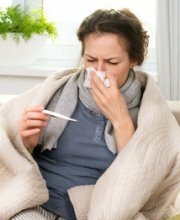 Inhalation of mold spores can cause all sorts of health problems, including coughing, sneezing, difficulty breathing, sore throats, eye and ear infections, sinus infections, bronchitis, pneumonia, asthma attacks, and allergic reactions. Some types of mold also produce toxic substances known as mycotoxins. These mycotoxins can cause additional health problems, such as rashes, hives, joint pain, depression and chronic fatigue. Before you begin removing mold from the subfloor, the work area should be sectioned off using large sheets of heavy plastic. 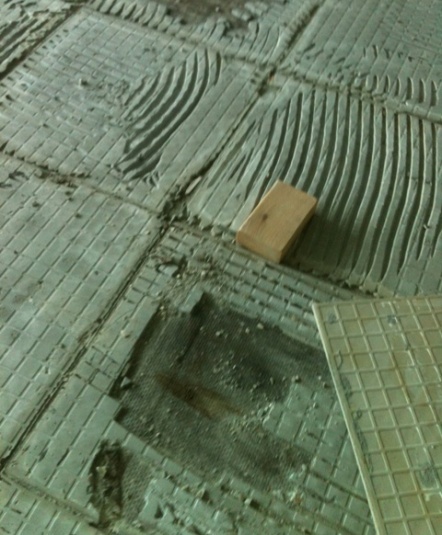 Any part of the floor that is not being removed should be covered with sheets of plastic, as well. 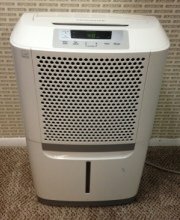 This helps prevent the spread of mold to other areas of the home. Of course, it is important to wear personal protective gear when removing mold, to protect yourself from exposure to mold spores that can make you sick. You'll need an N-95 or N-99 face mask, disposable gloves, disposable shoe covers, and a disposable hair cover. Wear long pants and long sleeves, and launder your clothing in hot water as soon as you're done working in the area affected by mold. A “negative pressure environment” should be set up as well. A steady stream of air is removed from the work area and filtered outdoors so that any airborne mold will not travel to other parts of the home. If you have mold-related health problems or any respiratory problems (whether or not they are caused by mold), the U.S. Environmental Protection Agency (EPA) suggests talking to your doctor before you begin removing mold from your home. Ask your doctor if it's safe for you to do the mold removal yourself or if you should arrange for someone else to do the work. 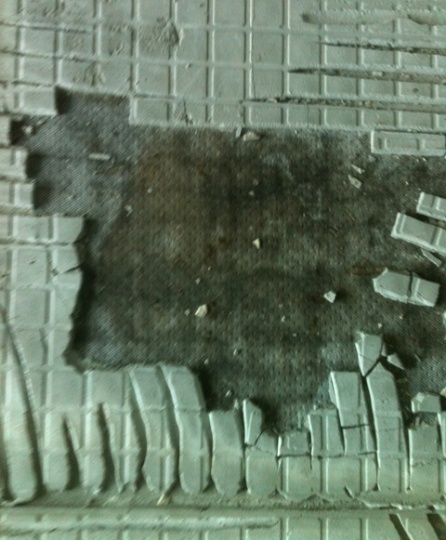 Mold on mesh under ceramic tiles. Before you can remove mold from your subfloor, of course, you have to get to your subfloor. The floor covering and underlayment must be taken up. It is likely those materials are also moldy, in which case they should be discarded and replaced. Even if the materials don't look moldy, if they've been touching the moldy subfloor, we recommend playing it safe and replacing them. Moldy carpet and other flooring materials must be removed carefully because the process of pulling them up can spread mold spores. It also exposes you to potentially harmful mold spores. Moldy materials should be enclosed in 2 heavy plastic trash bags before they are carried out of the house for disposal, in order to avoid scattering mold spores throughout the house. The moldy subfloor must also be removed and replaced. Particular care must be taken when cutting into moldy wood because the process sends mold spores flying into the air. 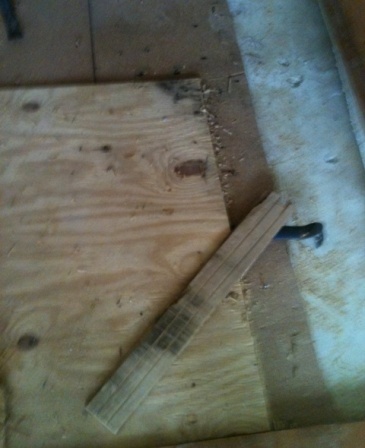 Moldy wood removed from the subfloor should be enclosed in double plastic bags before it is carried through the house. Be sure all subfloor mold is removed. Before rebuilding the subfloor, examine the joists carefully for signs of mold. It's not always possible to remove and replace moldy joists, and in that case, the moldy wood should be scrubbed with a fungicide to remove as much mold as possible. Then the wood should be encapsulated to seal in any remaining mold. Because removing a moldy subfloor is such a big job, we recommend calling in a mold remediation professional for assistance. If you need help with mold removal, or if you'd just like some professional advice before you begin the work, we recommend scheduling a free in-home consultation with a mold removal professional. An experienced professional will inspect your home for mold, explain the mold remediation process to you, answer your questions, and give you a written estimate for the cost of the work that needs to be done. You can opt to hire a professional to handle the entire job or just to assist with certain parts of the job. Of course, you can also opt to do the work yourself and just take advantage of some free expert advice. To find qualified professionals offering free consultations in your area, just follow the link.